Imagine one of your patients had a bad outcome in the hospital. 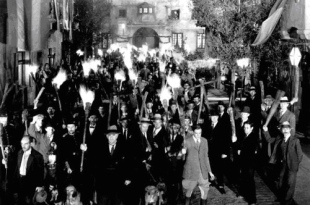 Instead of facing a malpractice suit from the family's ambulance chaser, you are confronted with an angry mob carrying bats and pitchforks. That is the situation in China confronting doctors when their patients don't do as well as their families had hoped. According to a report from the Los Angeles Times, doctors at a hospital in the city of Nanchang were warring in hand to hand combat in the lobby of the facility with the family and "friends" of a patient who died there. Doctors in their white lab coats were carrying sticks and cans of mace while security guards donned riot gear as they battled family brandishing pitchforks and clubs. This appears to be a widening phenomenon over there. In a land where court justice depends on who you know, many people feel they have little recourse but to stage a confrontation. Their only hope is to extort the hospital and doctors for monetary damages by causing as much fear and destruction as possible. Some of these protesters are actually paid thugs, called yinao, who get a 30%-40% cut of whatever money the family is able to get from the hospital. As one yinao says, "If you start a big disturbance, you'll get a bigger compensation package. If you start a smaller disturbance, you'll get a smaller package. And if you don't do anything, you'll get nothing." So next time you receive a summons from a malpractice lawyer, try to look at it with a little perspective. At least you don't have an rioters banging down your office door.